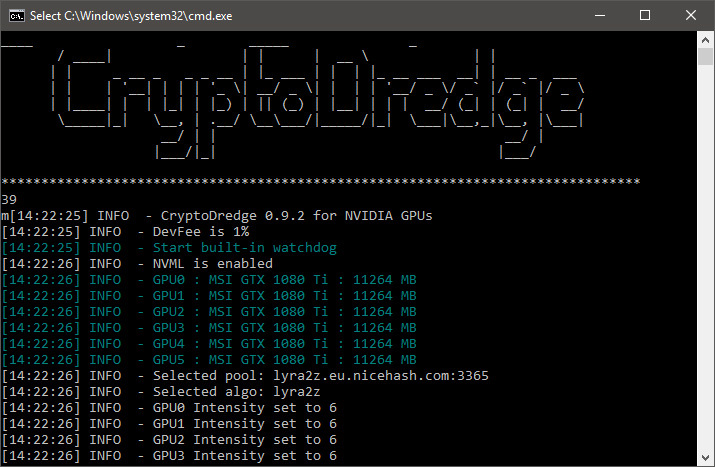 The latest version 0.9.2 of the CryptoDredge Nvidia GPU miner for both Linux and Windows comes with a new algorithm supported as well as some performance improvements and fixes. The new algorithm getting added is CryptoNightSaber used by BitTube, Allium and Phi2 get performance improvements for GTX 1070, 1070 Ti, 1080 and 1080 Ti GPUs. The list of new features and improvements include the ability to set intensity per GPU, a fixed failover mechanism, disable miner to auto-start after system restart and added crash reporting mechanism. Our usual reminder that the CryptoDredge miner is a closed source software that comes with 1% built-in developer fee with binaries available for both Windows and Linux (CUDA 9.1/9.2).